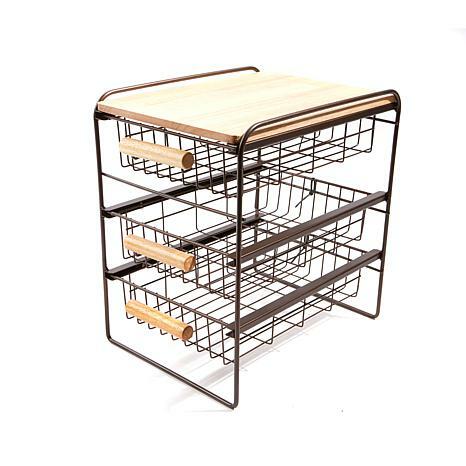 Get small spaces situated with this 3-drawer organizer from Origami. Stow shampoo, bath tissue and extra soap in the bathroom. 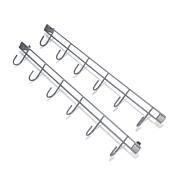 Keep utensils, dry goods and other supplies handy in the kitchen. Or organize detergent, dryer sheets and fabric softener in the laundry room. It's rugged, versatile and compact enough to fit almost anywhere. Nothing gets you organized like Origami! WARNING: This product can expose you to chemicals including lead, which is known to the state of California to cause cancer or birth defects or other reproductive harm. For more information go to www.P65warnings.Ca.Gov. Maximum Weight Capacity: Approx. 3 lbs. I purchase this 3 drawer shelf because I had brought the 2 pack Origami shelf and I thought it would fit on the shelf but I had to sent it back because it did not fit. There is nothing wrong with the item but I wish they would make some that would fit on the different shelf's that they make. 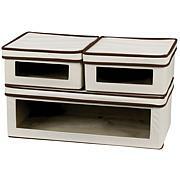 This great little organizer has made our master bathroom vanity usable again! Little drawers hold a lotmedicines, makeup, hair accessories, you name it. We cut thin plastic mats to fit the drawer bottoms to keep small items from falling out. The white one looks great in my bathroom and doesnt take up nearly as much space as all the clutter did. Even my husband, the skeptic, is won over. Great purchase. This little thing is so handy..using it in the kitchen to hold my pet dishes and cat food. 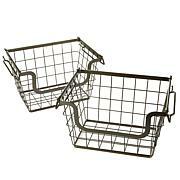 I went back and ordered 2 more to help keep things organized in different locations through the house. I already have one of these next to my computer station. It's been a lifesaver.Now I don't have to store all my mailing supplies in different places.I'm ordering a second one today in white. 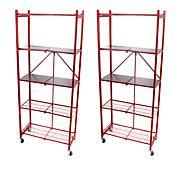 I took the first one and set it on the wire mesh rack (Closet Maid) in my pantry to see if it would fit. No problem. Just be sure you measure the space between your rack. I plan to put canned goods in one of the drawers esp. with multiples so I don't have to stack them.